Mountain | Flights. Camera. Satisfaction. I’d been shooting with a wide angle lens all morning, but decided it was time to focus on the detail of the majestic mountains I could see in the distance. I sat down, switched to a long zoom lens and scanned the surrounding landscape for interesting features. Something about this peak in the Mont Blanc massif caught my eye. I loved the leading line created by the mountain’s ridge. Following it from bottom to top I felt like I could imagine it climbing higher and higher as it was created, forged from the earth. Mountains at high altitude often make great subjects for black and white photography. There’s so much contrast to play with between the snow-capped peaks, perfect blue sky and dark rock formations. I had great fun experimenting in Lightroom! 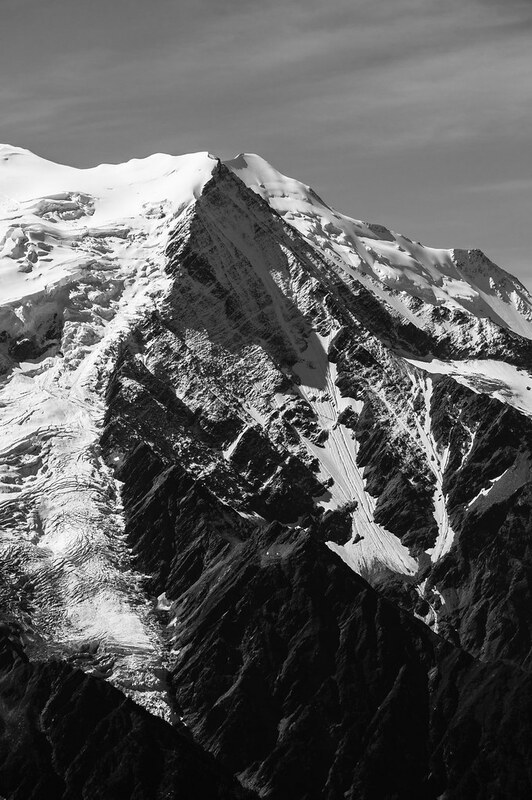 This entry was posted in France and tagged Alps, Black and White, France, Landscape, Mont Blanc Massif, Mountain, nature, Photography, Zoom on August 21, 2014 by Ben. Holding a camera out of the small openings provided by cable-cars is not the most comfortable position to be in, especially as they sway back and forth on their journey. Some are better than others at providing larger windows to lean out from, but they are all a bit unstable. It’s something I always like to try because I think it’s the most interesting way of depicting the journey to the summit. My endeavour to capture said journey very rarely ends in success! I’ve often been left kicking myself for not just sitting back to enjoy the ride. Whenever I try this kind of shot I’m always paranoid that my camera is going to meet its end with a nasty fall to the depths below. Fortunately on the way to the Klein Matterhorn in Switzerland I had a little more room to work with and managed to capture this moment. It was quite a journey! Have you ever tried to photograph from a cable-car? Did you find it a challenge? Or maybe it was easy?! Have you visited the Matterhorn? Please get in touch! 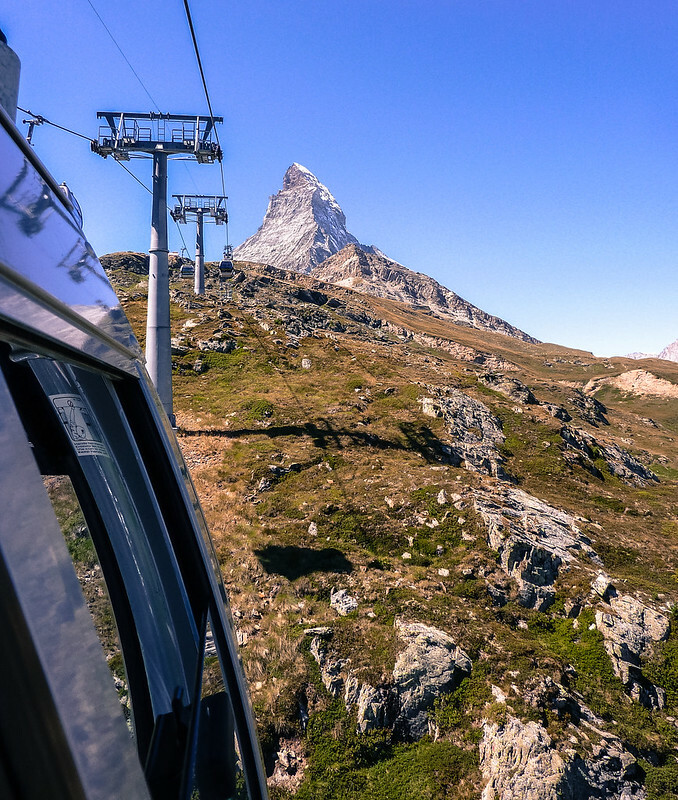 This entry was posted in Europe, Switzerland and tagged cable-car, Matterhorn, Mountain, Photography, Switzerland, Travel on February 11, 2014 by Ben. Le Salève is somewhat of a constant looming presence in Geneva. The mountain stands proudly on its own to the south of the city just across the border in France. The summit provides some fantastic lookout points from which to admire the beautiful surroundings. 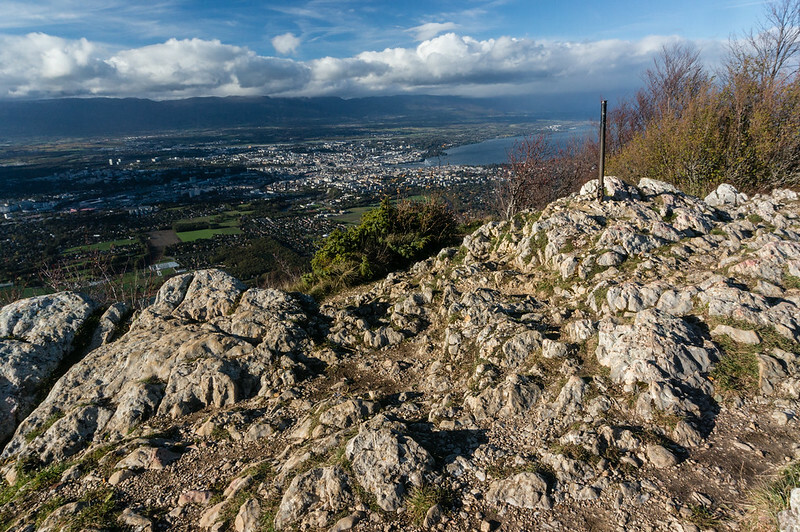 This entry was posted in Europe, Switzerland and tagged France, Geneva, Landscape, Mountain, Photography, saleve, Switzerland on November 7, 2013 by Ben. 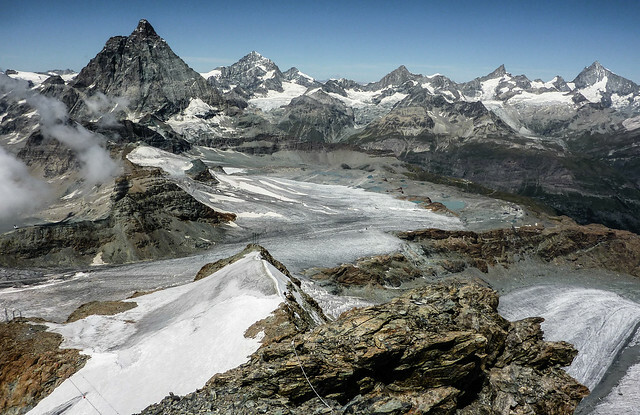 The views from the summit of the Klein Matterhorn are spectacular, and this view in particular is unique amongst those I have seen atop a mountain. It’s very rare to see an entire valley in this fashion, from tip to toe. Its epic proportions provide another level of majesty to the landscape. I often wonder what creates such vast divides between the mountains. Was the valley created as the mountain range formed? Or carved out by water flowing over millions of years? I’m certainly no geologist, but whatever the reason is I’m glad they exist. This entry was posted in Europe, Photography, Switzerland and tagged Alps, Klein Matterhorn, Mountain, Photography, Swiss Alps, Switzerland, Valley, Zermatt on September 25, 2013 by Ben. My trip to the Matterhorn was certainly one of my most memorable in Switzerland to date. It was my first time in the Swiss Alps, and the start of a road trip that I will never forget. But one thing I will always remember was completely unrelated to the incredible landscape – my brief encounter at the ticket office. This entry was posted in Europe, Switzerland and tagged Landscape, Matterhorn, Misunderstanding, Mountain, Switzerland, Travel on September 24, 2013 by Ben. 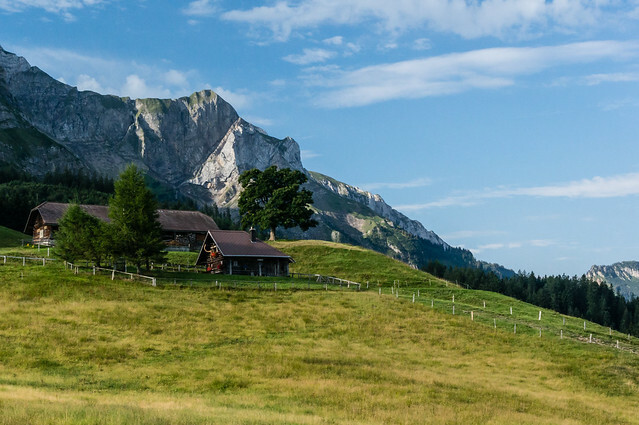 It’s said that in medieval times a dragon lived atop Mount Pilatus. I can’t think of any better reason to visit a mountain than that! 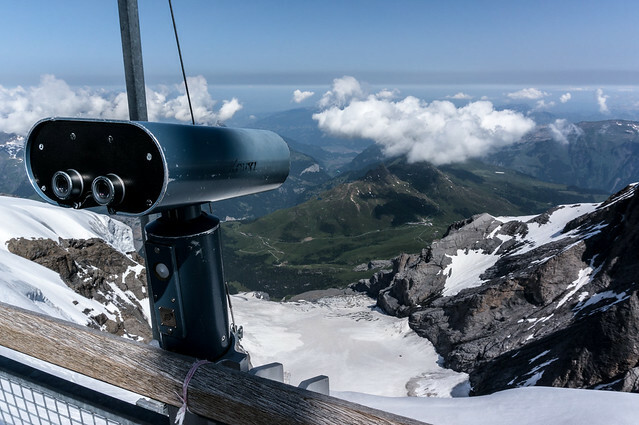 Having already seen the Matterhorn and the Jungfrau, the views from Mount Pilatus were the last on my list of mountain must-sees whilst living in Switzerland. I’d been waiting to visit the beautiful area around Lake Lucerne for a while, and we finally had a long weekend available to make the trip from Geneva. And besides, I couldn’t wait any longer to see a dragon. 26 years is long enough! This entry was posted in Europe, Switzerland and tagged Dragon, Lake Lucerne, Landscape, Mount Pilatus, Mountain, mountains, Photography, Sursee, Swiss Alps, Switzerland, Travel on September 12, 2013 by Ben. 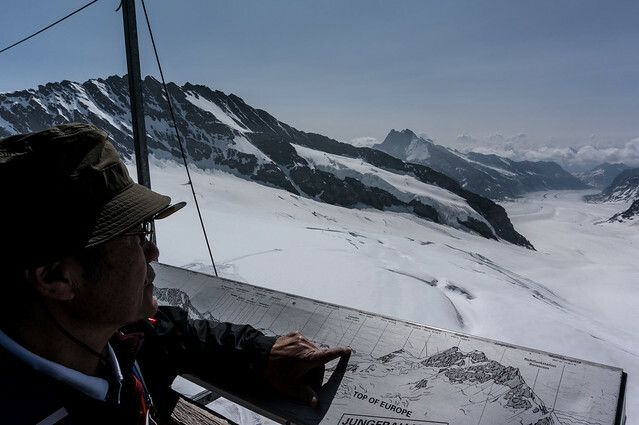 Last weekend I finally went to the ‘Top of Europe’ – the Jungfraujoch in the Bernese Alps. I had been waiting a while to make this trip, and having bought a half fare card for Swiss public transport earlier in the year the cost of the trip was no longer in my way. Initially I was incredibly excited, but in the days leading up to the weekend I started to doubt myself. Maybe it wasn’t worth the trip, I had been up lots of mountains in the last few years – what was different about this one?! How wrong I was! I had forgotten how much I loved being in the mountains, and as soon as I stepped off the train in Interlaken and saw the Bernese Alps in every direction I was no longer questioning being there at all. I couldn’t wait to get out and explore! It’s a long train ride from Interlaken to the Jungfraujoch, about 2 hours 30 minutes. 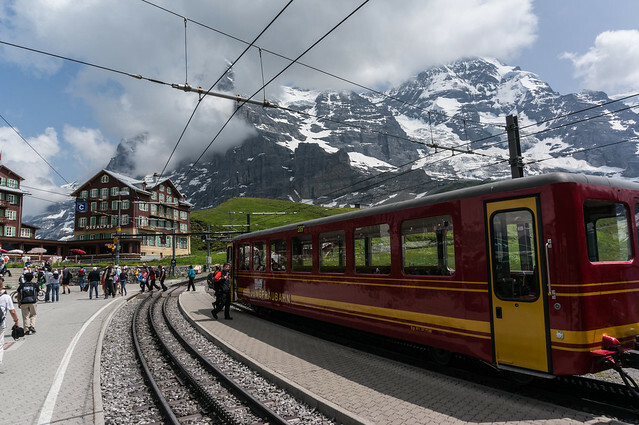 There are a number of stops along the way though so you can shorten this journey by staying in a town further along the train line such as Grindelwald or Wengen. The weather forecast was for clear skies in the morning followed by cloud in the afternoon. If you’ve ever been at the top of a mountain when the clouds are five feet from your face you’ll know it’s not a very satisfying experience, so I got up early and made it to the peak by 10:30am. I was certainly not disappointed! I’ve been up a fair few mountains since moving to Switzerland and I think this one has the best glacier view of any I’ve seen with the monumental Great Aletsch Glacier sprawling away from it. I really love going up to the top of mountains and looking out at the world around them. For me it’s one of the greatest feelings you can have while travelling. It makes you realise how small you are and gives some perspective on just how awesome the natural world is, absolutely incredible. I am quite happy just standing and looking out at the world for a while. Despite being named ‘Top of Europe’ this is not the highest point in Europe you can reach using publicly available transport. 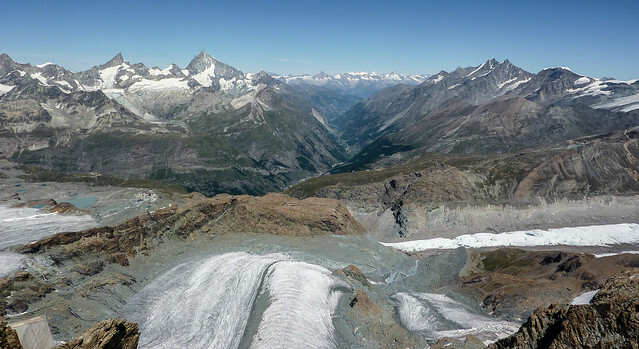 At 3883m the Klein Matterhorn near Zermatt is higher, as is the Aiguille du Midi next to the Mont Blanc in France. However it is the highest you can reach by train, with the others requiring a ride in at least one cable-car. So if you’re scared of heights (going up a mountain?!) then the Jungfraujoch is probably your best bet. In fact it’s the highest railway in Europe! And if the woman I overhead on the train is correct (and the Swiss usually are) once at the top you can also visit the highest watch shop in Europe. Now there’s a title to be proud of – only in Switzerland! I still think it’s a rather sneaky marketing ploy to call this experience ‘Top of Europe’. Having said that it certainly felt like it when I was up there, and the work put into building the 7.3km tunnel that makes the final part of the journey possible made it feel even more special. The tunnel was built between 1893 and 1912 and it is a real triumph of engineering. 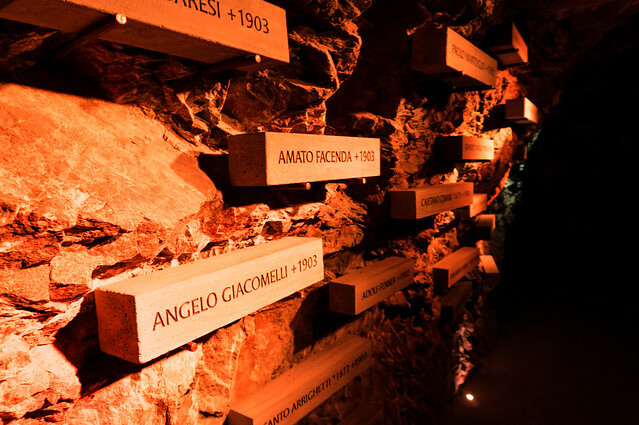 Unfortunately a number of people died in the process and they are honoured in one of the many tunnels connecting the viewing stations at the top. 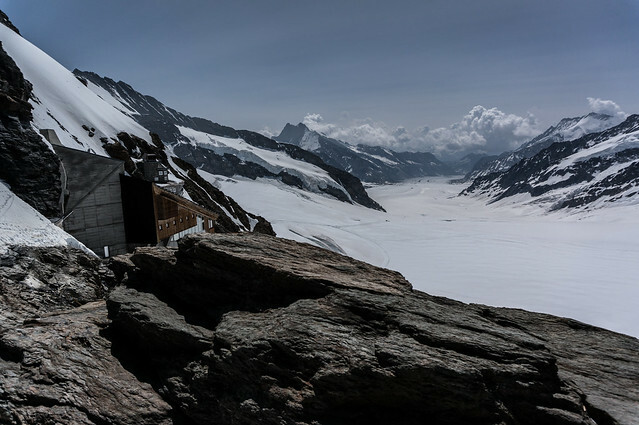 I would recommend a trip to the Jungfraujoch with no hesitation, although it is quite pricey. There is enough to keep you busy at the top for a couple of hours (or longer if you enjoy the mountains as much as me) with two viewing stations and something they like to call ‘Snow Fun’ if you’ve got the clothes for it. 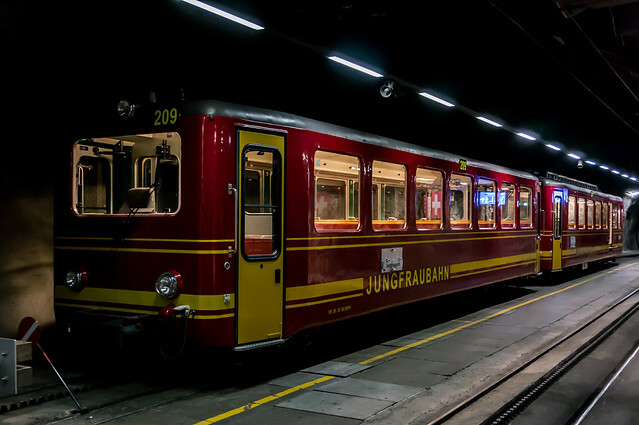 If you’re in Switzerland for any more than a day and planning to do this trip it’s probably worth getting a half fare card for the public transport, you will almost get your money back on this journey alone! The surrounding area is absolutely beautiful with countless peaks and hiking routes to explore. I think you could easily spend two weeks here and be completely satisfied – I know I could! 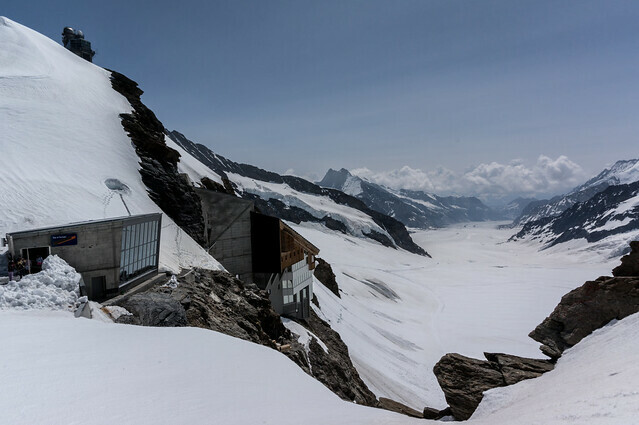 I’ll have some more pictures up soon showing some of the other fantastic views you can find in the wonderful Bernese Oberland, but for now here are a few more from my trip to the Jungfraujoch – ‘Top of Europe’. 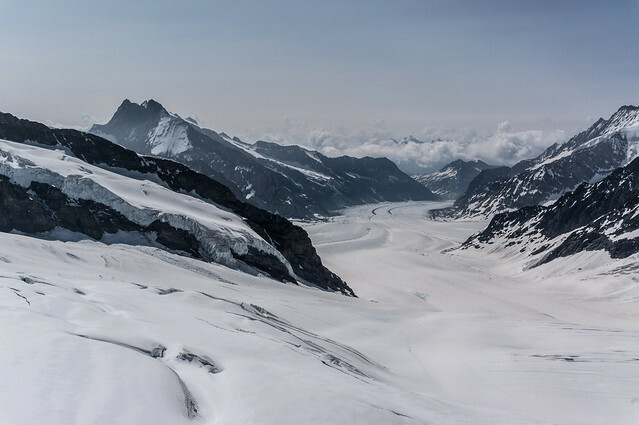 Have you been to the Jungfraujoch? Love the mountains as much as I do? Interested by the highest watch shop in Europe?! Feel free to comment below! 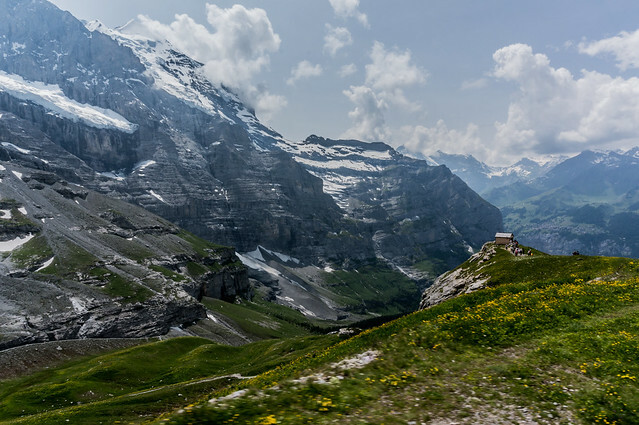 This entry was posted in Destinations, Europe, Switzerland and tagged Alps, bernese alps, Bernese Oberland, europe, Jungfraujoch, Kleine Scheidegg, Mountain, mountains, nature, NEX 6, Panorama, Photography, Switzerland, Train, Travel, View on July 18, 2013 by Ben.